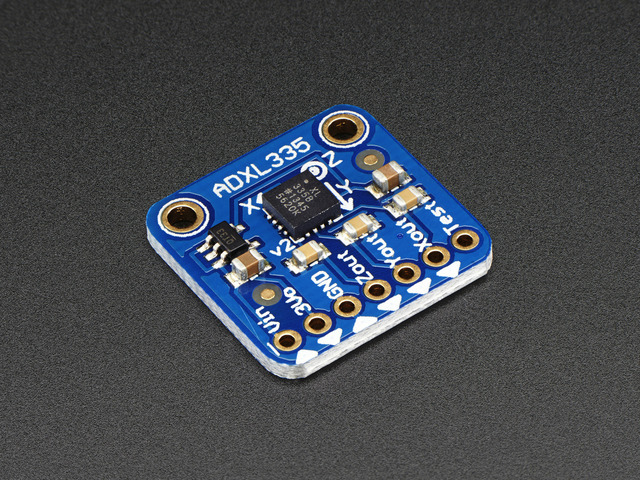 The ADXL335 , ADXL326 and ADXL377 are low-power, 3-axis MEMS accelerometer modules with ratiometric analog voltage outputs. 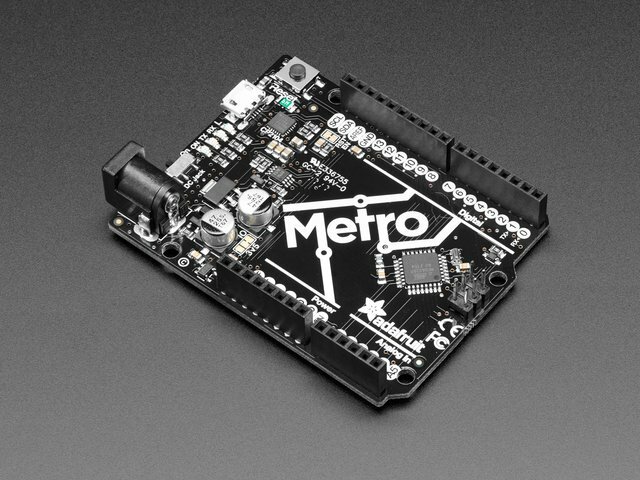 The Adafruit Breakout boards for these modules feature on-board 3.3v voltage regulation which makes them simple to interface with 5v microcontrollers such as the Arduino. The ADXL335 can measure at least +/- 3G in the X, Y and Z axis. It is perfect for high-resolution static acceleration measurements such as tilt-sensing, as well as for moderate dynamic accelerations from motion, shock or vibration. The ADXL326 can measure at least +/- 16G(!) in the X, Y and Z axis. It is ideal for measuring more dynamic accelerations from high-performance land and air vehicles as well as for shock and impact measurements. The ADXL377 can measure at least +/- 200G(!) in the X, Y and Z axis. This is the sensor for measuring extreme dynamic accelerations encountered in applications such as rocketry experiments and high-impact shock measurements. The sensor consists of a micro-machined structure on a silicon wafer. The structure is suspended by polysilicon springs which allow it to deflect in the when subject to acceleration in the X, Y and/or Z axis. Deflection causes a change in capacitance between fixed plates and plates attached to the suspended structure. This change in capacitance on each axis is converted to an output voltage proportional to the acceleration on that axis. Ratiometric output means that the output voltage increases linearly with acceleration over the range. 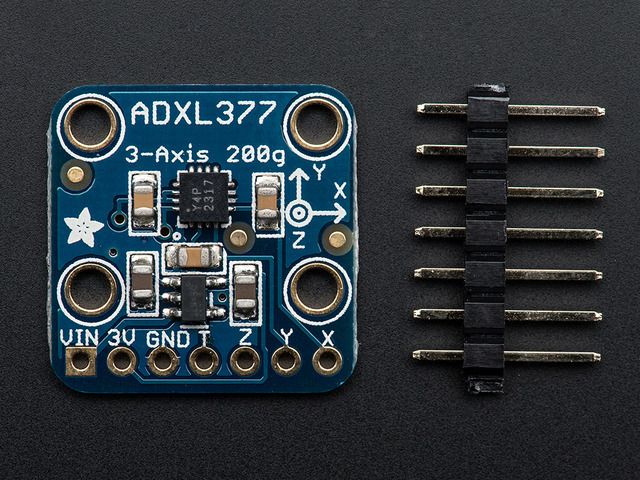 For the ADXL335, that is approximately 0v at -3G to 3.3v at +3G. For the ADXL326, that is approximately 0v at -16G to 3.3v at +16G. For the ADXL377, that is approximately 0v at -200G to 3.3v at +200G. For all modules, the output at 0G in each axis, is about 1/2 full-scale, or 1.65v. Note that the specified device ranges are guaranteed minimum ranges. Most actual devices will have a somewhat wider usable range. Also, due to manufacturing variations the zero point may be slightly offset from exactly 1/2 scale. We will discuss how to calibrate the range and offset in the Calibration and Programming section of this guide. This guide was first published on Nov 05, 2012. It was last updated on Nov 05, 2012. This page (Overview) was last updated on Apr 23, 2019.